Eternal Orthodox Church calendar for the 10.06 year 2017. He renounced the world in his youth and withdrew to follow the path of monastic asceticism. He shone like the sun with virtue and came to the attention of the ecclesiastical authorities, being raised to the episcopal throne of Chalcedon. He was, as a hierarch, particularly compassionate to the poor and cared for many orphans, widows and beggars. When the wicked Emperor Leo the Armenian made his stand against the icons, St Nicetas came courageously to their defence, denouncing the Emperor and expounding their meaning. 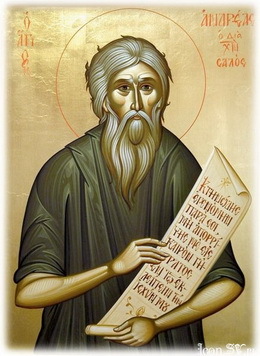 He was finally driven into exile for his confession of the Faith, and, after much hardship and suffering, went to the Lord to receive a wreath of glory in the Kingdom of God. She was born in Salonica and educated in Christian piety. She went to Corinth in the time of Gordian and Philip, where she outspokenly denounced all who sacrificed to idols. When the governor, Perinus, urged her to offer sacrifice to Aesculapius, Christ"s martyr said to him: "Hear me, and know that I am a servant of Christ; as for Aesculapius, I do not know who he is. Do what you will." She was brought to trial for these words and terribly tortured. She was thrown into the flames, but a great gush of blood poured from her body and extinguished it, and she remained alive. She was thrown to the lions, but they would not touch her and instead fawned round her. Thrust into a temple for at least the semblance of offering sacrifice to idols, she smashed the idols, thereby arousing still greater hatred in her tormentors. 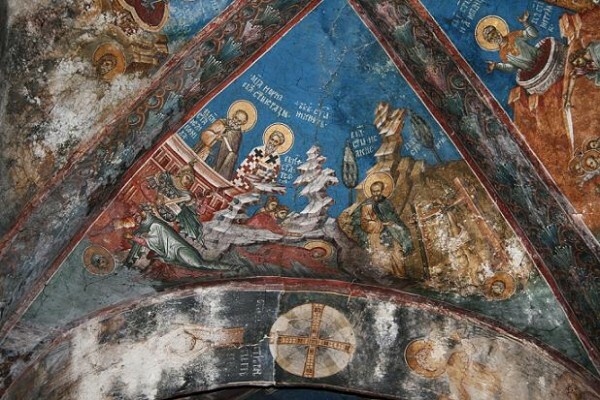 Lying in prison covered all over with wounds, she saw the Lord Himself with the Archangels Michael and Gabriel. He healed her wounds, comforting and encouraging her. Later, she was led out to the scaffold to be beheaded with the sword. Before her beheading, Heliconis raised her arms high and prayed that God accept her and bring her into the company of His flock in the heavenly fold. When she had finished her prayer, a voice was heard from heaven: "Come, make haste; a crown and a throne are prepared for thee." She was finally beheaded and received a wreath of glory from the Lord, for whose love she was sacrificed like an innocent and pure lamb. This hierarch guided the flock of Christ for twenty-six years with great love and compassion. When he died and his body was placed in the church, some of those present saw him leave his coffin and rise up in the air above the church. He blessed the people and the city from on high, and then returned to his coffin. Many other miracles were wrought at his grave. He went to the Lord on May 28th, 1288. 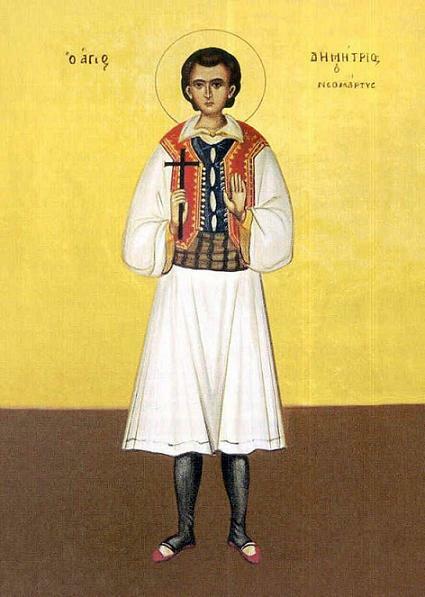 The PriestMartyr Helladias the Bishop was for his confession of faith in Christ thrown into fire, but he remained unharmed; he died a martyr from the terrible beating inflicted upon him. 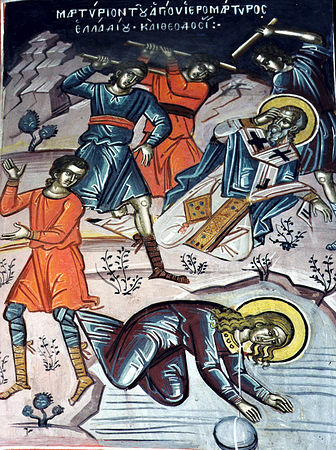 In the Service to Saint Helladias is said, that in prison the Lord Jesus Christ visited him and healed him of his wounds. According to certain sources, Saint Helladias suffered under the Persians during the time of their invasion into the Eastern districts of the Roman empire in the IV Century. 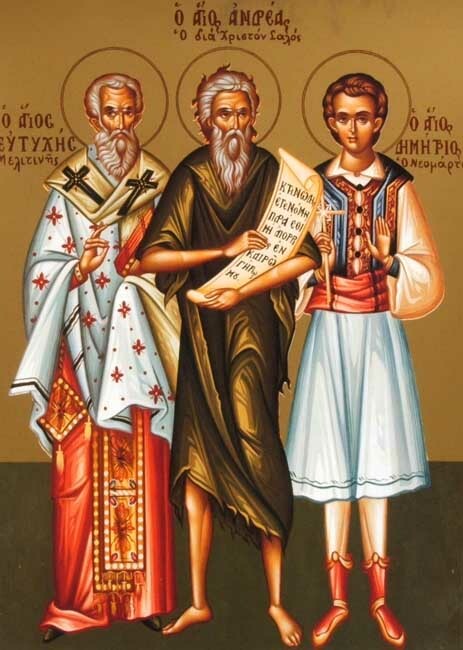 The Holy Martyrs Crescentius, Paul and Dioscorides suffered for Christ at Rome in the year 326. 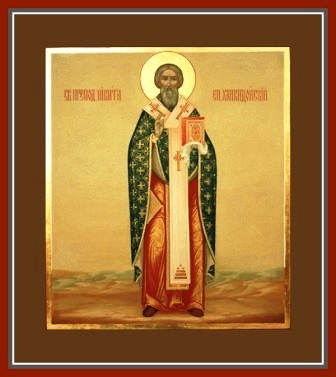 The PriestMartyr Eutykhias, Bishop of Meletineia, was a co-worker with the Holy Apostles, and he suffered for Christ in the city of Meletineia during the I Century. 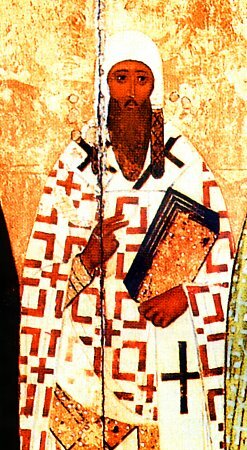 The Monk Sophronii (in the world Stefan) – was a native of the village of Penkovets in Bulgaria. He accepted monastic tonsure at a monastery near Rus' along the River Danube/Dunaj, where he asceticised in deeds of fasting and prayerful vigilance. In 1510 the monk was murdered by his own servant. His relics were found undecayed after three years, and afterwards the Vita-Life of the saint was compiled.